As proponents of BMW finally returning diesel technology to us in the US we have given you a great deal of information on them; although for the most part we have barely touched the surface. In order to meet strict US emissions requirements BMW (and other manufacturers) had to use a variety of technologies to bring us the amazing torque and efficiency of diesel motors once again. 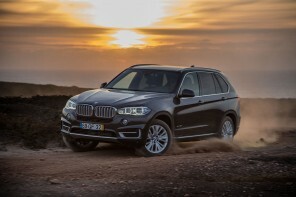 BMW will be offering us in the US only two models initially: the 335d (sedan only) and the X5 xDrive35d. Though you can still dream of other models down the road as BMW is not opposed to offering them but rather letting the market warm to the diesels with the most popular models first. Can you blame them? Most diesels on the road today are either for commercial applications (aka: TRUCK) or older systems that are not 50 state emissions compliant. These diesels rely heavily on a particle filter to catch smog producing particles and tend to be “dirty “, this is where the Advanced Diesels are different and they offer up diesel that is now “clean “. 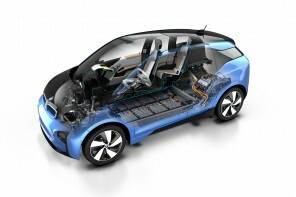 BMW has implemented many layers of technology to reduce emissions to levels less than even gasoline power. They modified internal engine components and introduced secondary systems that work hand in hand at increasing power output and lowering emissions. Internally BMW adjusted the combustion process by piston shape, variable air control and four valves per cylinder. BMW is utilizing 2-stage turbo charging (small and large turbos in sequence).A high pressure common-rail Piezo fuel injection system (much like is used in the famed N54 gasoline engine) to fine tune the amount (up to 5 shots per stroke) and timing of fuel. The injectors have been located in the center of the combustion chamber to increase efficiency. BMW is also debuting an advanced system of Exhaust Gas Recirculation (EGR) which uses both low and high pressure versions; EGR is an effective way to reduce NOx emissions. It recirculates exhaust gas back to the combustion chamber, where it is once again combusted. Low-pressure EGR systems offer certain advantages in emissions reduction as well as increased turbo boost when compared with high-pressure EGR systems . However, high temperatures and metal fatigue due to damaging exhaust particles had made it difficult to implement low-pressure EGR with reliability. Since BMW is using a newly developed low pressure system with specialized metals and also using a high pressure system to decrease the load on the low pressure system these difficulties have been overcome and reliability is not a concern. Externally from the combustion process the first line of defense in emissions is the closed coupled particulate filter. This low flow resistance ceramic coated catalytic filter catches particles in the exhaust stream and burns them off while not robbing the power or fuel efficiency. This system requires no additional user maintenance. The next technology utilized is the one that really sets the system apart from diesels of the past; the Selective Catalytic Reduction (SCR) system. This system is composed of the urea holding tanks, a dosing pump, mixer (mixes particles in the exhaust stream) the SCR-catalyst, and the NOx sensor/control unit (which is downstream and controls the amount of urea injected). BMW will be utilizing AdBlue as the aqueous urea solution, it is composed of 32.5% ammonia. This system has been utilized and refined by the trucking industry in Europe so it has been proven effective and reliable. BMW has further refined the system by improving the mixer setup to further increase the effectiveness of ammonia distribution in the exhaust stream. The AdBlue tanks store enough solution to last approximately 10k miles and will be replenished as part of the free BMW maintenance program. A series of warnings (much like a low fuel warning system) will alert the driver the system needs replenishing. If the system is completely depleted the car will NOT be able to be restarted until the solution is replenished, this prevents damage to the system and increased emissions. The combination of all of these systems and technologies has allowed BMW to meet the requirements of all 50 states and EPA Tier 2 Bin 5 (Ultra Low Emissions Vehicle II) and reduction of NOx by an amazing 94%. A lot of research and development has gone into the emissions control systems for this engine and there is still development of a system to further reduce the emissions for future requirements and to preserve the environment. So when we think about diesels we can add CLEAN to the list of benefits, not just the torque and efficiency. These diesels will be a welcomed sight on our shores… if people can grasp the concept of less is more. You can view our previous entries on the Advanced Diesels here. Nice informative article. As a European driving a 320d, it’s good to see you guys are getting some of our diesel goodness. 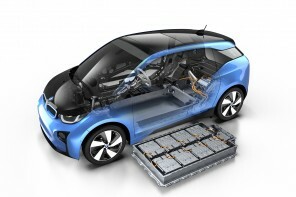 Very interesting article, happy to see BMW making this change for the US market. Anyone have an idea when we’ll see pricing and mpg numbers for the 335d? very informative! thanks for the article! i think it’ll be great if bmw usa brings the e90 320d over.